Last but not least, okay well maybe in this instance this is the least important thing to know about making a cake. 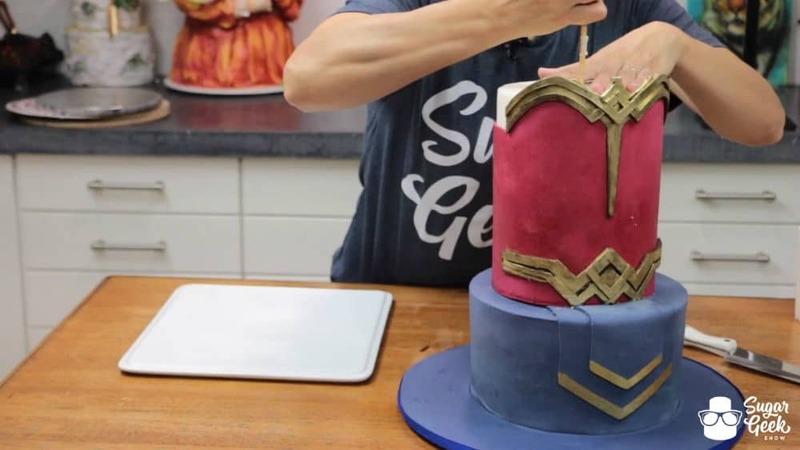 Usually it isn’t your problem to cut your client’s cake BUT nevertheless, it is good to be able to pass this info along to whomever will be cutting the cake. There are a couple ways to get it done and we are going to show you how. 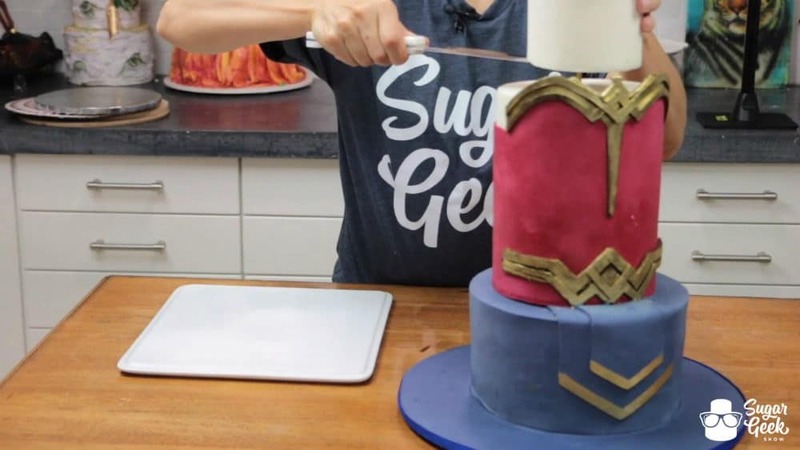 First, remove the top tier of the cake and set aside. A lot of times, couples will want to save the top tier of their wedding cake for their 1st anniversary so it will not be served. Next, remove your center dowel rod if you have one. Then continue to unstack the next tier/s. 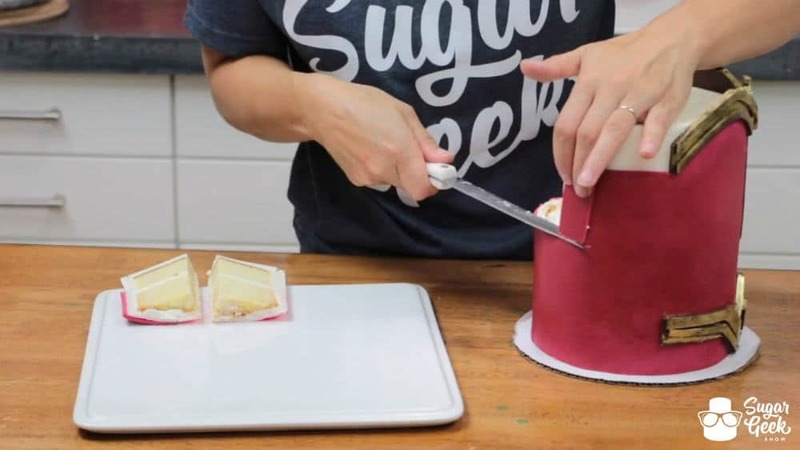 Remove the straw supports from your cake with a pair of pliers. If you are fresh out of pliers, it is possible to cut around the straws and remove them later. 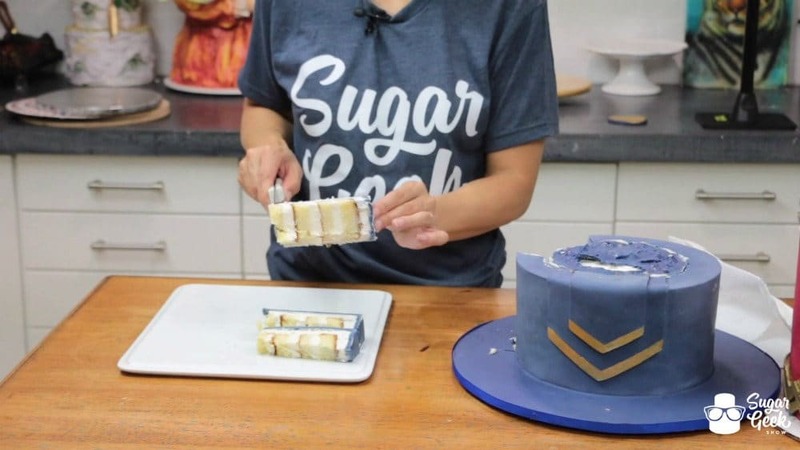 Cut a 1″ donut ring on the outer edge of your cake. 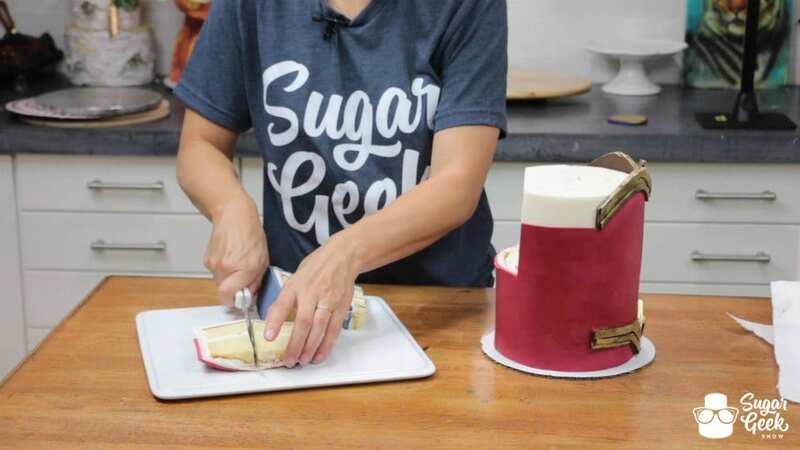 Once you have cut a ring all around the outer edge of your cake, cut that ring into 1″ slices for wedding servings. 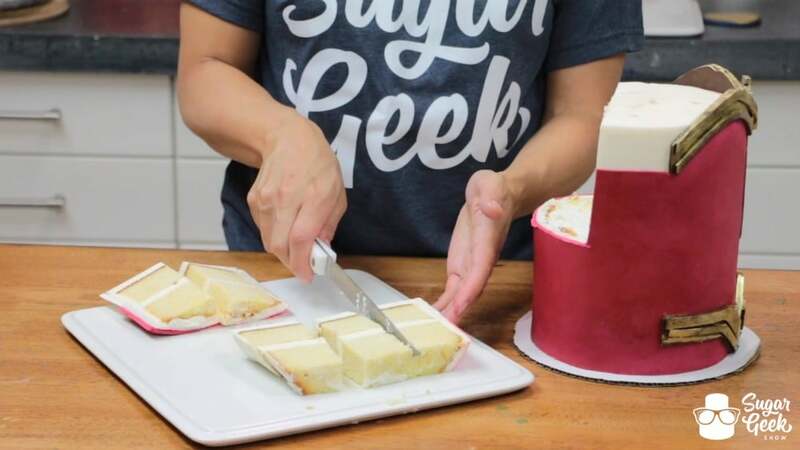 Cut 2″ slices for party servings. Repeat that process or cut the center like a pie into triangle servings. 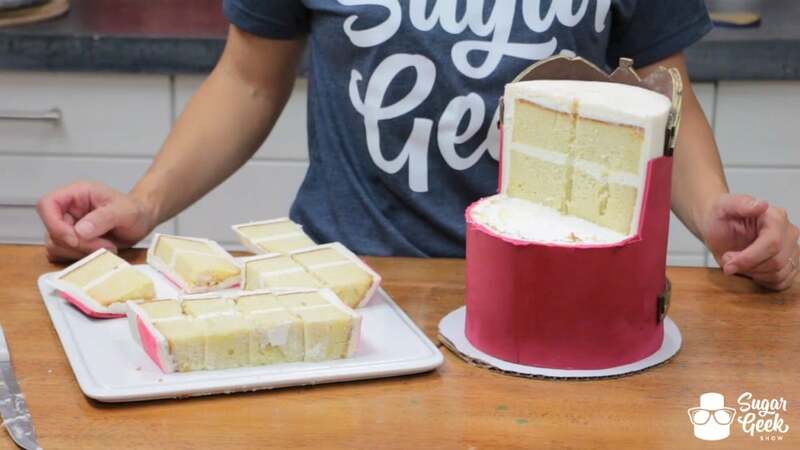 About 1″ in from the edge of your cake, cut straight down, all the way across. 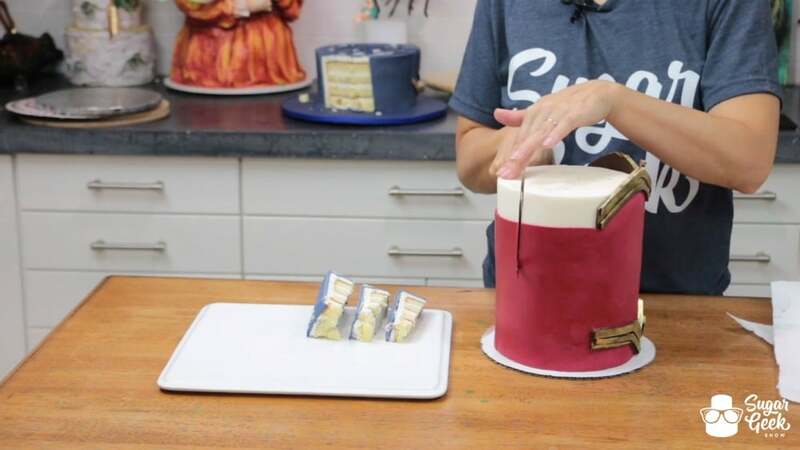 Since this is a double barrel cake, we need to cut through the fondant at the base of the top cake. Place that slice onto your plate and cut in half, these are your first two servings. 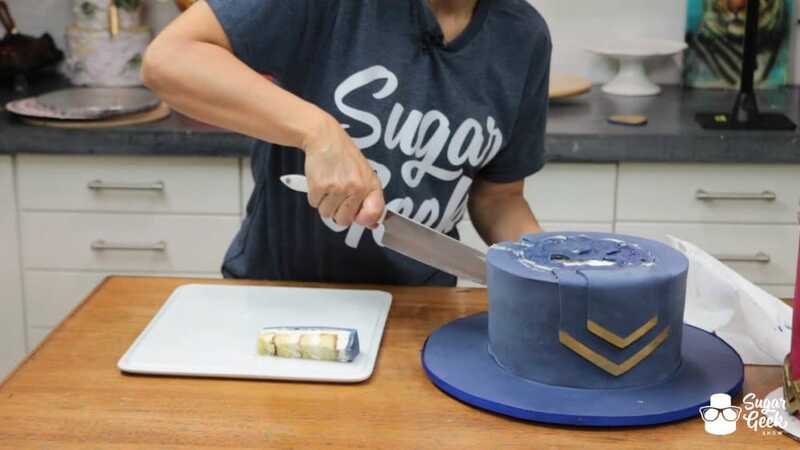 Repeat that process exactly, cutting in another inch and slicing through your fondant ends if it is a double barrel cake. Place that piece onto your plate and cut into 3 slices. These would be party servings that are 1″x 2″. 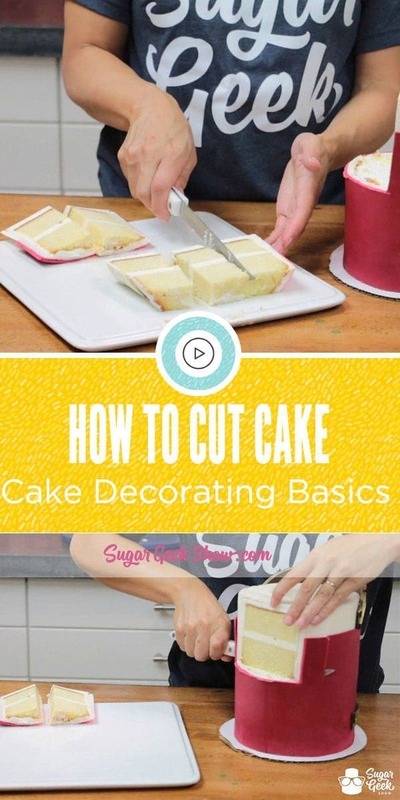 Cut 1″ pieces for wedding servings. 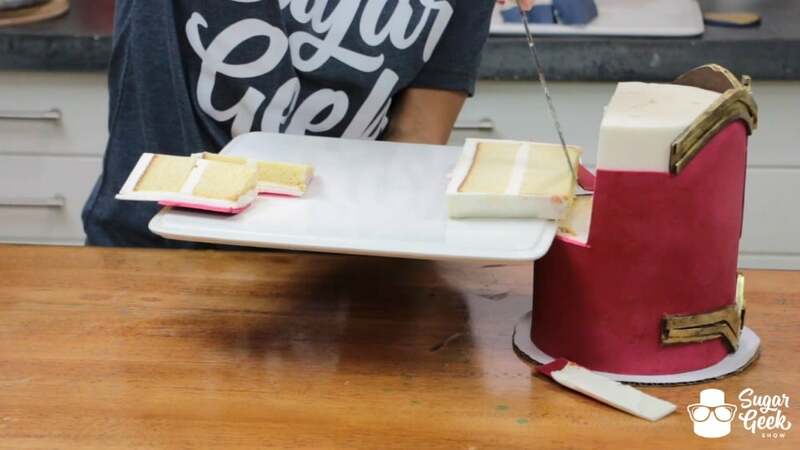 Repeat the same steps and this time cut the slice into 4 pieces and so on and so forth. Your center piece will have the most slices then you will start counting back down. 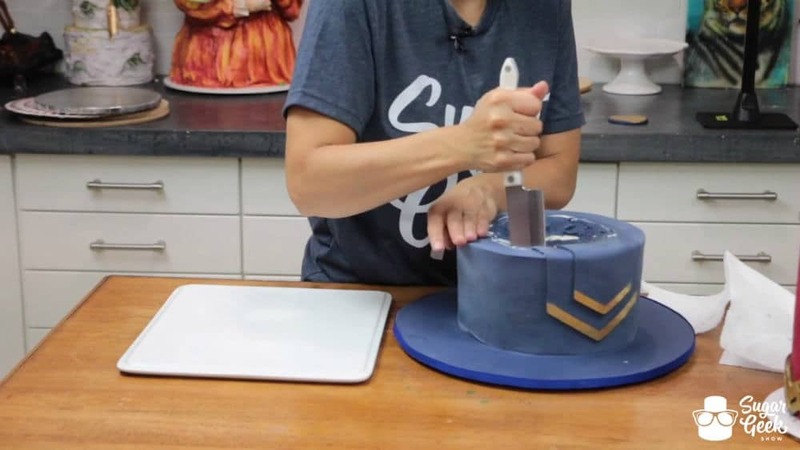 The second method seems to be a cleaner and easier way to cut a cake although the first method is more traditional. 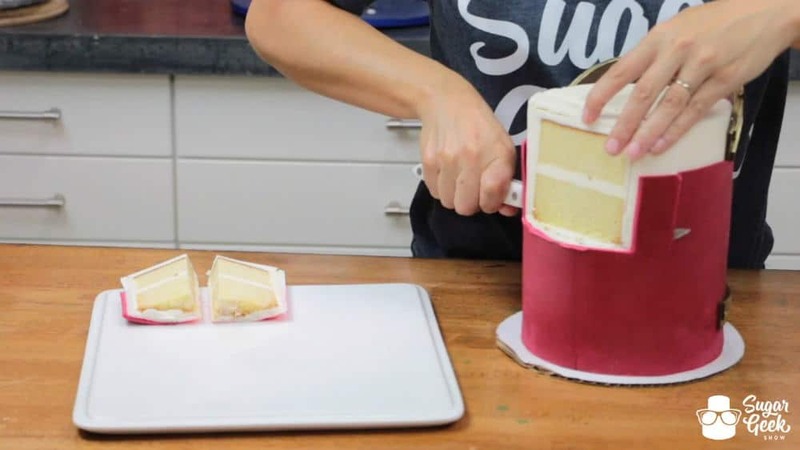 Of course, you can always just cut the whole thing into triangle pie pieces but that can get a bit difficult to get as many servings out of a cake that way. 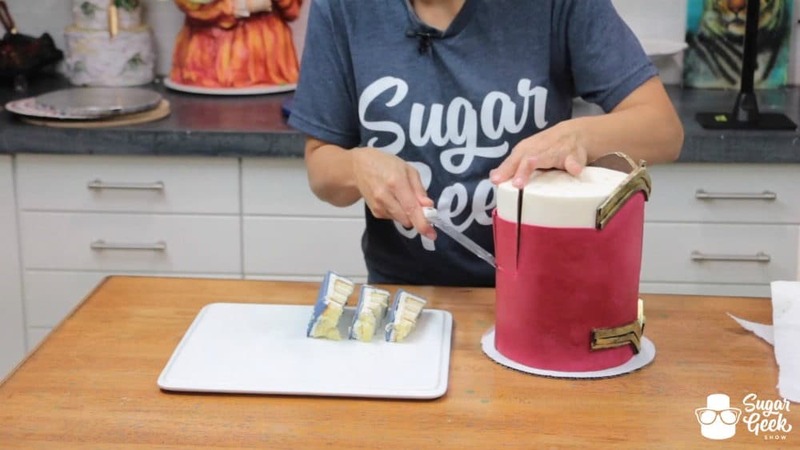 To finish off the double barrel you would continue cutting the top cake, remove the cake board, and cut and serve the bottom cake the same way. That’s really all there is to it! 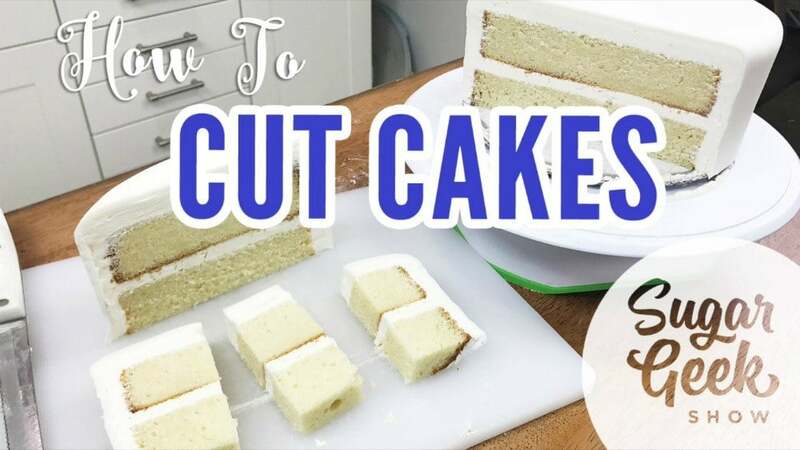 I recently found an app called cake slicer that will give you a cutting chart for any cake size and shape and two ways of cutting it. 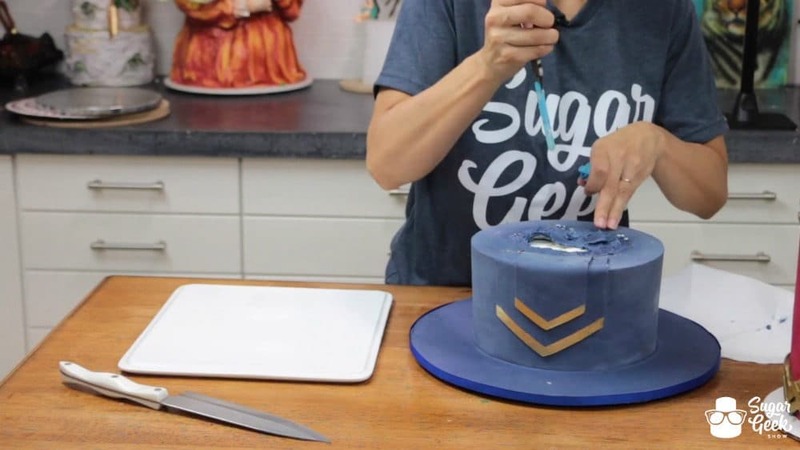 I will usually screen shot the tiers for my clients cake and email them to them to give to whoever will be cutting the cake so they can be sure to get the correct amount of servings out of them. I like the amount of servings the cake slicer app uses as well. I went in my tiered caker app and adjusted all of the tier servings to match my cake slicer app and I am set. 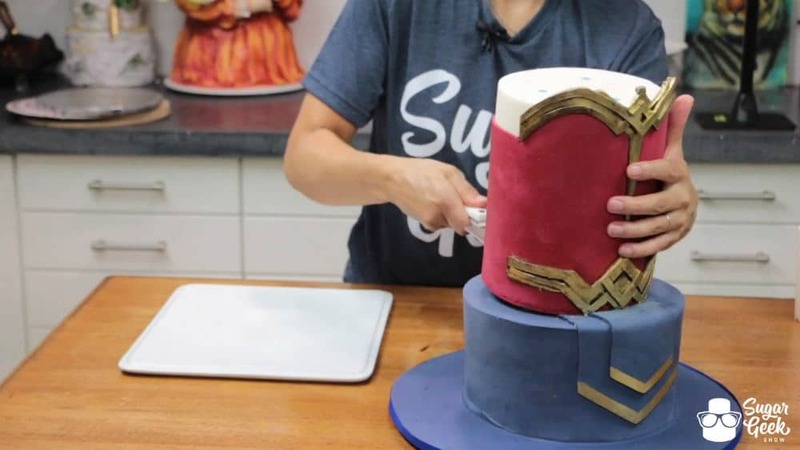 Well guys, that wraps up our cake basics series! 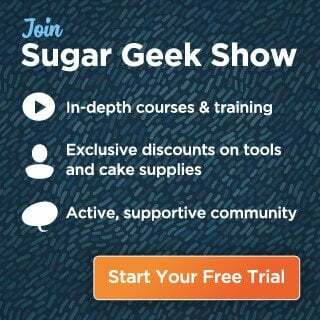 We have literally given you every tip, trick and tidbit for success that we could possibly muster. If you haven’t yet, be sure to check out the other basics blog posts listed below, sign up as a premium or elite member to watch the basics video series and as always let us know if you have any questions!